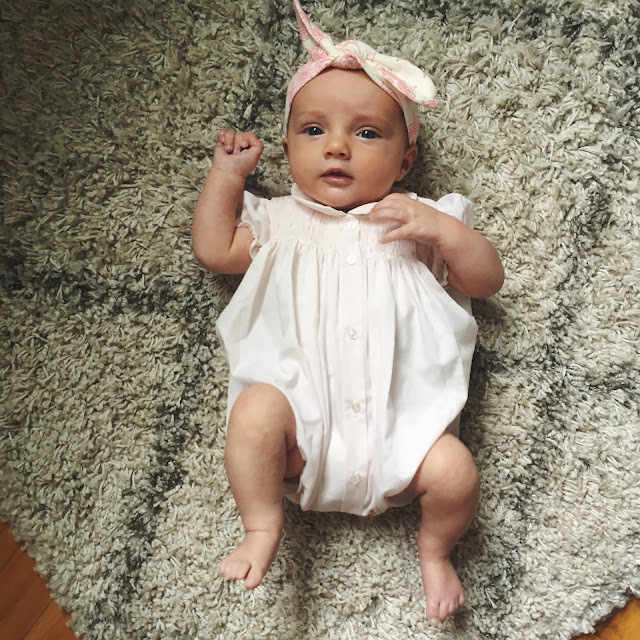 Following the Walkers: Maisie Austen, 3 months. *Ticklish, especially on the sides of her belly. *Full of smiles in the morning. *Has recently started responding to us with sounds, coos. *Grew out of newborn clothing, just this week. *Sleeps 6 hour stretches at night. *Charms us daily, hourly, by the minute.